Bruce Robertson Training have been unveiled as the new sponsors of Gala Fairydean Rovers‘ Disability Squad. The Netherdale team are currently top of National League 2 under the guidance of head coach Tommy Patterson. The manager was on hand last week to welcome Bruce Robertson from the new sponsors to training to hand over the new strips. 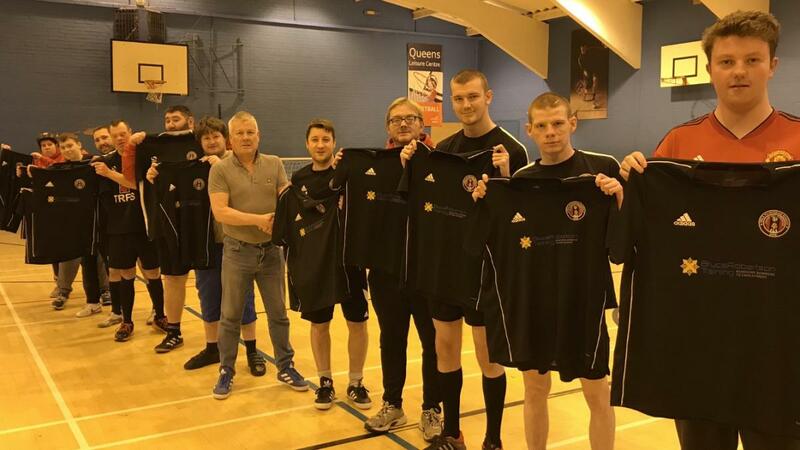 Tommy told us: “We are immensely grateful to Bruce Robertson Training for their support of the Disability Football Squad for the next three years. See the full story here on the Border Telegraph website.